This article has been copied by request from my VK1OD.net web site which is no longer online. The article may contain links to articles on that site and which are no longer available. 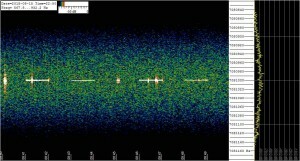 (Tester 2013) described a coaxial collinear array for VHF/UHF. 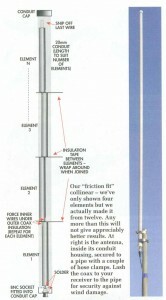 Tester describes the antenna a collinear is a vertical antenna whose resonant elements are connected along a common line (ie co-linear) so that each element is opposite in phase to its neighbour . He is a little confused, in fact, the elements are in-phase with each other so that in the horizontal direction, the contribution of the current in each element to the far field is an additive or reinforcing one. 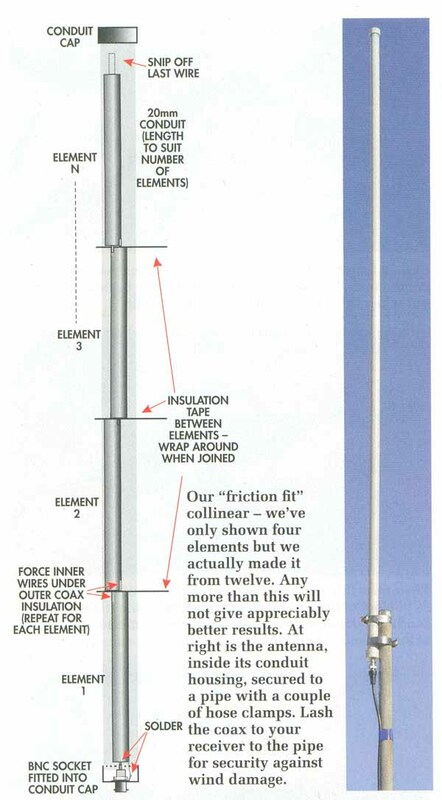 He goes on to say [i]f you are not into antennas, that mouthful is, fortunately, very easy to achieve … but is it? 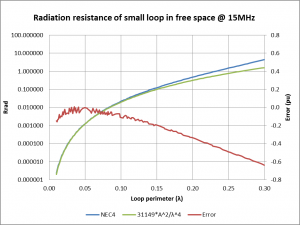 At Yet another dodgy coax collinear I wrote about a design published recently in QST. 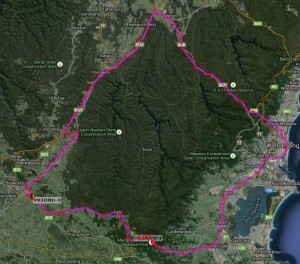 I recently travelled to Wollongong and back by a round trip, partly to evaluate APRS coverage on the Picton Rd. 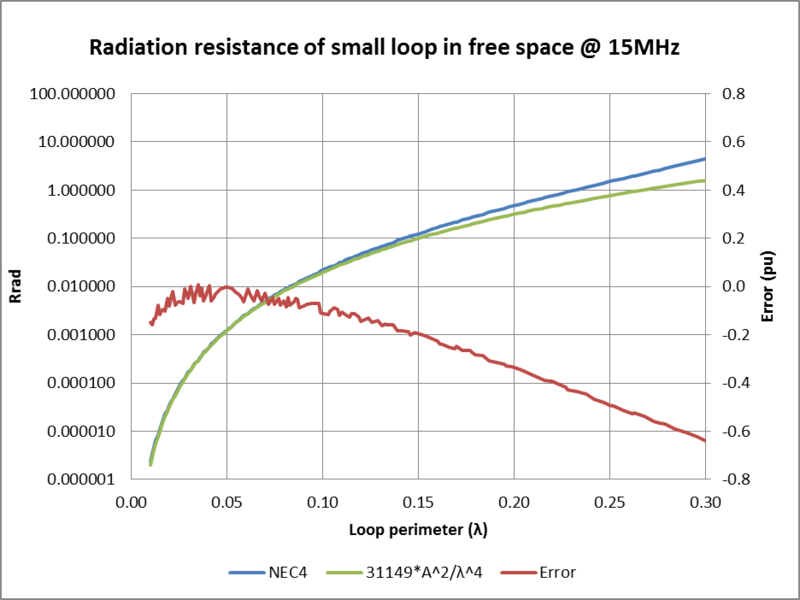 This article reports statistical analysis of the measurements made for An A/B comparison of a low G5RV with a MobileOne M40-1 (read it first). 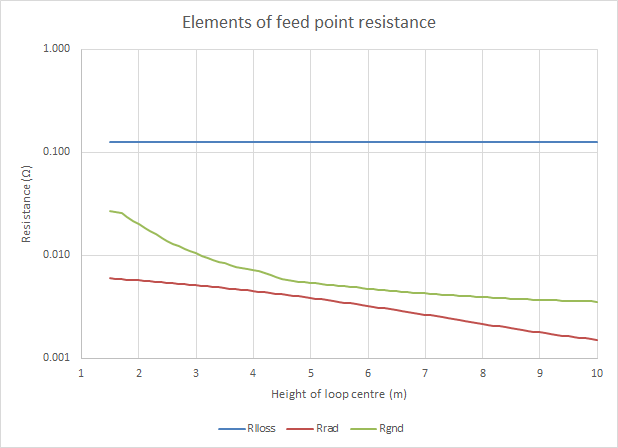 I left it for readers to visually form a view of the difference between the antennas, and the implications for credibility of folk lore about the two antenna types, this article addresses the quantitative difference between the average S/N ratio of the antennas. 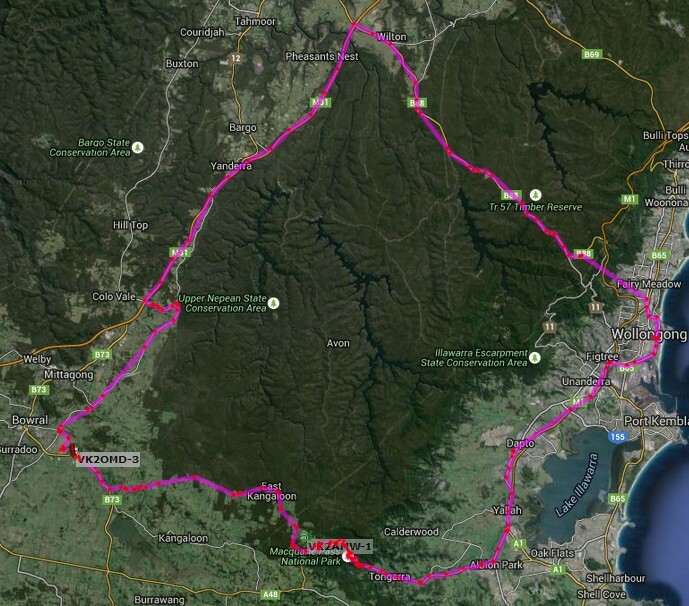 This article reports measurements on 40m of S/N as a receiving station in Melbourne of a 10W transmitter switched between a G5RV and M40-1 over a 1 hour period. 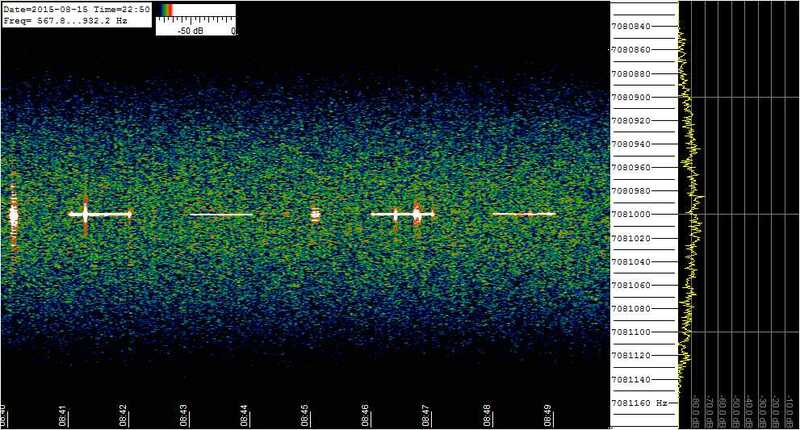 The experiment compares the antenna over a specific, but very relevant ionspheric path so it is more useful than ground level measurements in a car park or playing field. 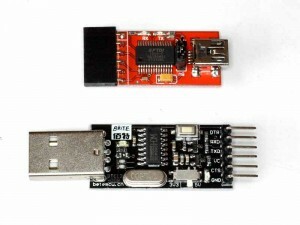 I bought a USBTiny AVR programmer on eBay for about A$8 posted. Above, the seller’s pic of the package. It is almost always the case that the ISP headers on the programmer use the standard pinout published by Atmel, and in that case the supplied ISP cables need to be pinned pin for pin, ie pin 1 to pin 1 etc. If you look carefully at the pic, the key is towards the top of the pic which means pin 1 on the right hand plug is towards the viewer and pin 1 on the left hand plug is away from the viewer. The cable does not connect pin 1 to pin 1, and as a consequence the package did not work. 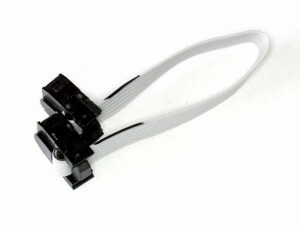 There is more than one way to connect these plugs, and above is one way that does connect pin 1 to pin 1, and the cable and USBTiny work. Though the seller has been told of this defect, he continues to sell the item with the pic of the defective cable. One wonders how many thousands of these things are and will be sold with this defect. 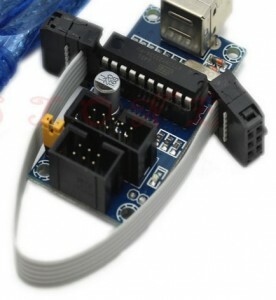 There are a number of USB-RS232 adapters available, among them Silabs, FTDI, Prolific and WCH. The Silabs CP series adapters have been reliable but not very widely used. The Prolific adapters are, well, prolific… but given their major compatibility problems and poisoned drivers, they are not a good choice. FTDI was a good choice until they distributed through Microsoft Windows Update their device poisoning trick to disable chips they thought counterfeit… though they seemed to have backed away from that action. The new kid on the block is an adapter by Chinese company WCH, chips that appearing in lots of low cost devices, eg Arduino Nano clones with WCH adapters instead of FTDI selling for around A$3+ on eBay whereas the FTDI equipped Nanos are more like A$12. 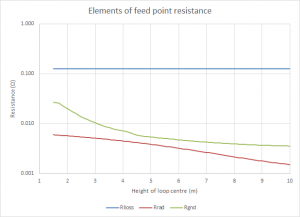 This article compares the WCH CH340G and FTDI FT232RL.